How to own a Laser? 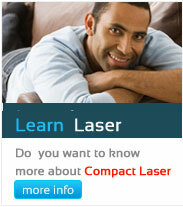 Some of the clinics are also known as specialty laser clinics. Dr. Shekhar Dhumal, Joha, Alibag, Retd.CMO. Dr. Anwesha Potdar, Chinchwad, MBBS consultant. Dr. Aravind Dhopeshwarkar, Multispeciality clinic chakan, Pune. Dr. Aditya Mathur, Sanchore, BVP, Rajasthan. Dr. Utkarsha Dudhedia, Dhulia, Orthopeadic Surgeon. Dr. Chandrashekhar Yavagal, Hubli, ( Pediatric Dental ). Dr. Sunila Paul, (Oman), Phsio therapist. Dr. Meenal Sarang, ( Homeo Path ) Dombiwili . Dr. Vaishali Patil, Pune, General Practice. Dr. Sanjay Solunke, Usmanpura, Aurangabad. Dr. Charuta Datar, Solapur, Fertility clinic. Dr. Sunita Lokhande, Pune, Dentist. Dr. Anuda Desai, Mumbai, Rehabilitation Centre. 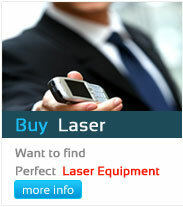 Laser Cure Center, Mumbai & branches. Laser Clinic. Dr. H Madhu, Cochin , ( Dental Clinic,) . We also know more clinics & users in India as well as overseas. Lasers are used in different discipline for various application.